A complete end to end payments solution for our customers is a key component of our business model, and our ability to scale. One of the most critical elements that would make or break our trajectory was the ease of integrating credit card processing. What we found during our initial search, which still holds true today, is that the payment processing industry is broken. Just like any optimistic startup, we thought we could fix it. So, we did our research. We reached out to our local network of entrepreneurs in non-tech industries (Tampa is not exactly a thriving hot spot for start ups) and compiled a list of (traditional) companies that could work. After scratching the surface of capabilities, it became clear that this approach wasn't going to work. Using a traditional merchant service for our online model would be an uphill battle that we just didn't have time to mess with. Balanced was the solution that checked all those boxes (plus more), but it wasn't a straight shot to selecting them. Here is what the path to Balanced looked like, (and you thought the apple maps debacle was bad). 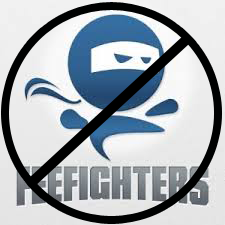 Fee Fighters by Samurai: We quickly figured out this flashy website was really just a referral engine. This blog by Gittip pretty much sums up our experience. First Data: Samurai "recommended" First Data. We met with an account manager, who was very positive that they were the solution we were looking for (see clear scope above). She understood the model, and worked hard to adapt their system to meet our needs. After 2 months of meticulously mapping out our requirements, we went live (thankfully in private beta). Within the first couple days, it became apparent that they couldn't deliver upon their promises. Approvals were an absolute nightmare for our clients, their online systems were terrible, the rates required a PHD in Quantum Physics to decipher, and splitting payments was not possible. We scrambled. WePay: During an extensive search of the interwebs, we came across WePay. We'd heard some buzz about them through YCombinator and dug in a bit deeper to realize they had an API that looked promising. We ditched First Data. The change came at an opportune time since we were planning a trip to Silicon Valley and scheduled a meeting their team in the "Lucky Office". While WePay had many features we were looking for, there was still a large barrier to creating a seamless customer experience. Using WePay, our clients had to create their own accounts, and login to get authenticated, often resulting in confusion and issues that required our assistance. We started to provide 24 hour support to help customers through the process, hindering our focus and scalability. Stripe: We continued to seek the right solution. A couple months after the WePay integration, on another trip to San Francisco, we met with one of Stripe's co-founders. Stripe is another YC Company with a product that was clearly light years ahead of what we had previously seen. One of the main features we liked was automated payouts every 7 days. This would save our clients from having to login and transfer funds; mainly, remember their passwords and access another system regularly. It was a clear choice to switch. Within a few hours, we had implemented their API and seamlessly switched over. (This was prior to their Stripe Connect offering, so there were still limitations, but compared to the problems we'd previously encountered, this was still a better solution while we were still in private beta). Stripe provided a fantastic solution for several months, and we were fortunate to be one of the first companies with access to Stripe Connect when it was released into Beta. Although Stripe Connect had some great features, (making it easier to get paid), as our business grew, issues rose the surface we couldn't ignore. Their OAuth process, while at first appearing fairly seamless, still required what we would consider a speed bump in the onboarding process. This tended to raise questions of credibility and security. With individual accounts for each client, there was a lack of top level visibility that we needed to provide a high level of support. We would have had to build an extensive amount of tools to aggregate all our customer data. Stripe's rolling payouts caused much confusion with our customers, who were thinking they were getting "random" deposits made every day. Over a 7-8 month period of working with Stripe, we learned to love the product and their team's dedication. It solved the major issues we had experienced with other providers and helped contribute to our growth. At the same time, it was also becoming clear that it wasn't going to work long term. Revisiting Balanced: After our public beta launch, the uptick in customer service requests exposed our previous concerns with scalability. I recalled a conversation with one of the founders of Crowdtilt, (which is also a Balanced customer), at the venerable Sight Glass Coffee, where we talked business philosophy. After hearing about the key features we were looking to optimize, he was adamant that the solution we were looking for was Balanced. In another late night decision (fueled by hours of customer service support), we decided to revisit Balanced and "see what we were missing". We set up a conversation with Co-Founder, Jareau Wade, and ultimately decided this was the solution we had been looking for. True White Label: We control the end-to-end sign up process, which creates a seamless user experience and reduces friction during account creation. Direct Access and Transparency: The marketplace enables us to easily provide base level reporting on any transaction, greatly improving our customer service capabilities and response time. Easy Implementation: With current clients to transfer from Stripe, new clients ready to sign up, and to add an extra element of complexity, two massive new clients that needed to come online immediately. Leveraging Balanced's Ruby API library and Balanced.js, we were able to get up and running in a couple hours and processed over $50k within days without any issues. Money Management: Balanced gives us complete control of all funds collected, enabling us to create custom payout schedules. This, combined with the ability to escrow funds, gives us more flexibility in working with our customers' unique needs. Unique Descriptor: The ability to change the credit card descriptor through the API per transaction is critical, and has allowed us to process thousands of transactions without a single chargeback. We ran the gauntlet of payment processors, learned by trial and error, and ultimately landed with the solution that aligned with our company's vision. While it wasn't a clear path from A to B, each step along the way provided our team with the ability to solidify the values and user experience we originally envisioned. Balanced is excellent at what they do, and provides the framework for our company to scale our business while providing the best experience for our end-users. We hope this helps save some late night scrambles and headaches for others.